Designed and manufactured by Reliance Precision, the Reli-a-Flex® range of couplings is a popular choice for design engineers seeking to maximise torsional stiffness between two shafts without incurring high bearing loads. Reliance’s patented slot design delivers very smooth transition of rotary motion by allowing pivot points to move freely back and forth while maintaining the centre piece angle. Minimal bi-directional error and fewer stress variations occur, resulting in increased bearing life and reduced maintenance costs. The one piece configuration produces zero backlash and greater predictability. This consistency has been verified by testing couplings for over 50,000,000 cycles at rated torque and at 80% maximum offset without failure. 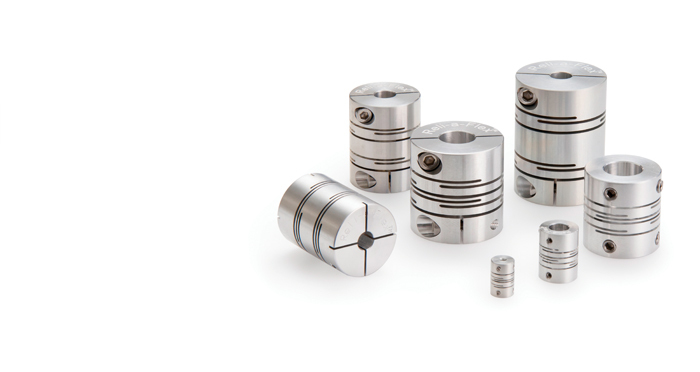 Manufactured from aircraft grade aluminium alloy and with outside diameters available in sizes ranging from 6mm to 40mm, Reli-a-Flex® couplings can be selected through the Reliance catalogue or by visiting the online store where a custom coupling can be created to match specific design applications.